Nineteen years after his younger brother Adam was killed, Pierre Ranger still continues to promote a message about school bus safety. Nineteen years after his younger brother was killed, Pierre Ranger still continues to promote a message about school bus safety. Five-year old Adam Ranger was killed February 11, 2000 while getting off his school bus in Mattawa, Ont. Since then the Ranger family has worked to get drivers to stop for the flashing lights of the school bus. This year, since mid January, the Let's Remember Adam campaign has released several messaging videos. Pierre Ranger says they decided to create videos because they're easy to share on social media. "Most of the videos are of myself and my mother speaking about Adam and the campaign," he said. "I think the message really gets driven home when you hear it from our voices." Ranger says they decided to release videos because they're easy to share on social media, and that is yet another way to spread the safety message. "Social media is an amazing thing when used properly. The videos really send a message home." He adds that the main factor behind doing the videos was to continue to remind drivers that it's imperative that they stop for school buses. "The school bus might stop and you might be thinking 'I got to wait behind this bus, that's going to take my personal time. I don't have time to wait.'" "That's a child's life out there. If you run that stop-arm and hit a child your life is never going to be the same again and neither is that family or that community's," Ranger said. 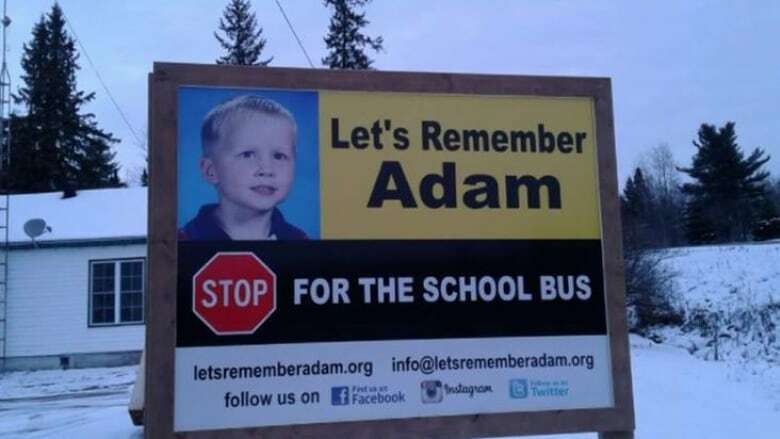 The Let's Remember Adam: Stop for the School Bus campaign is also pushing to add technology on school buses, like stop arm cameras that would record details of any vehicle that attempts to pass. Ranger says even though it's been 19 years he'll never get over his brother's death, but pushing the safety message helps him. "We don't want any other family to have to go through what we go through and continue to go through, so that's the whole purpose behind the Let's Remember Adam campaign."